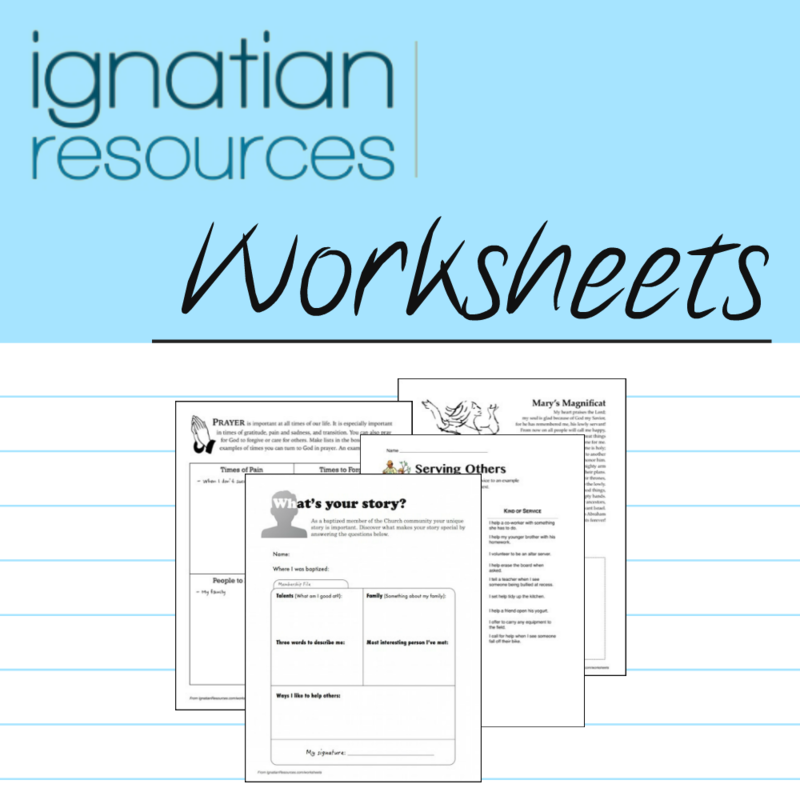 Included is a lesson planning method and worksheet inspired by the Ignatian tradition. There are no more updates being made to this collection. Learn more about the primary school aged worksheets that come in the set. Encourage a deeper and more reflective faith in your primary and secondary students by implementing these Ignatian-inspired worksheets in your lessons. Some of these worksheets were initially designed for 5th and 6th graders however they can be used for other ages. High school worksheets come from lessons on scripture, sacraments, Catholic social teaching, and the Church. From reflecting on their gifts and talents to their prayer life, these worksheets can enhance any lesson.